The only book written about the Movement endorsed by its Churches. 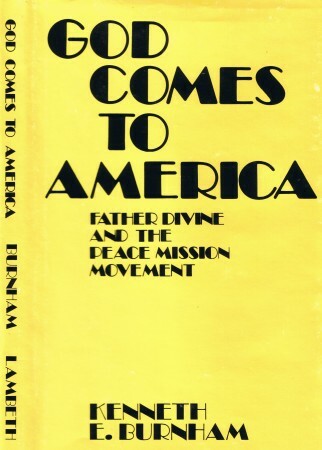 Mother Divine, in her direct, unaffected, lucid style, relates her personal conviction, knowledge and understanding of the Peace Mission Movement. A copy of the book could be obtained by contacting us at fdipmm@gmail.com. In the year 1884, the History of Montgomery County edited by Theodore W. Bean was published. This was a comprehensive, 1200 page history of Montgomery Country in Pennsylvania, covering the hundred years beginning with 1784 when, on September 10, Montgomery County was established as a political entity. The Montgomery County Federation of Historical Societies is undertaking a similar history of the second hundred years of Montgomery County, edited by Jean Toll. It is scheduled for publication in 1984. 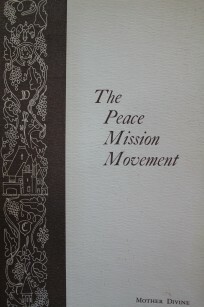 Editor Toll requested Mother Divine to supply for this work an account of the activities of the Peace Mission Movement which have been carried on in Montgomery County between 1884 and present. Pertinent background information concerning the Work and Ministry of Father Divine prior to its advent in Montgomery County in 1952 has also been included. Editor Toll supplied all the religious bodies represented in the work with identical guidelines for writing their respective accounts. The following account has endeavored to stay within these guidelines as much as possible. 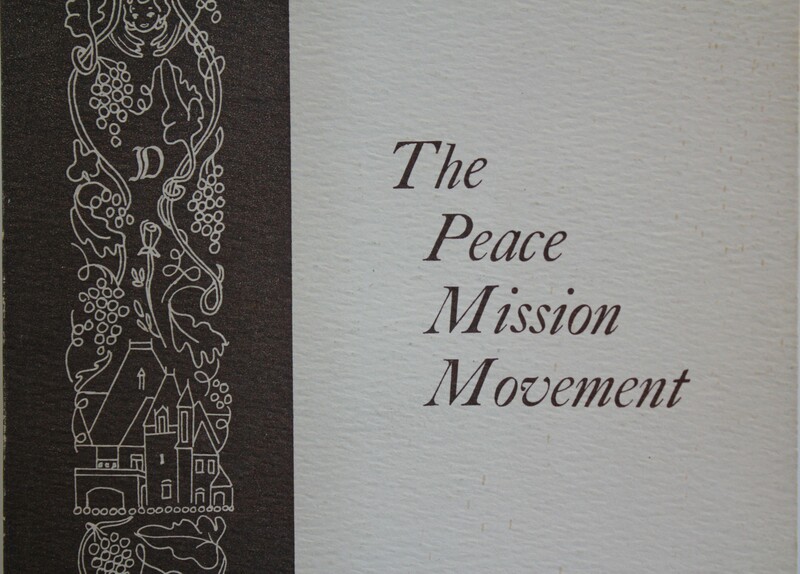 To a certain extent, following the outline limited the describing of the somewhat unorthodox beliefs and practices of the Peace Mission Movement. On the other hand, following the outline brought out various aspects of the Movement about which little was generally known. The following work differs from the report submitted to the Montgomery County Federation of Historical Societies only in minor revisions and refinements, except for chapters added to Section Two. Section One contains a brief account of the Work and Ministry of Father Divine and the activities carried on by his Peace Mission Movement. In preparing the manuscript for publication it was thought expedient to give coverage also to certain viewpoints, concepts, situations, proposals and events in the ongoing of the Movement which have provoked much debate without benefit of clear comprehension of factors involved. These topics are presented in Section Two – for the most part in Father Divine’s own words, or in words that he directly and personally inspired in others, or in Mother Divine’s own words. The account in Section One serves as a base from which excursions into the topics treated in Section Two may be made. 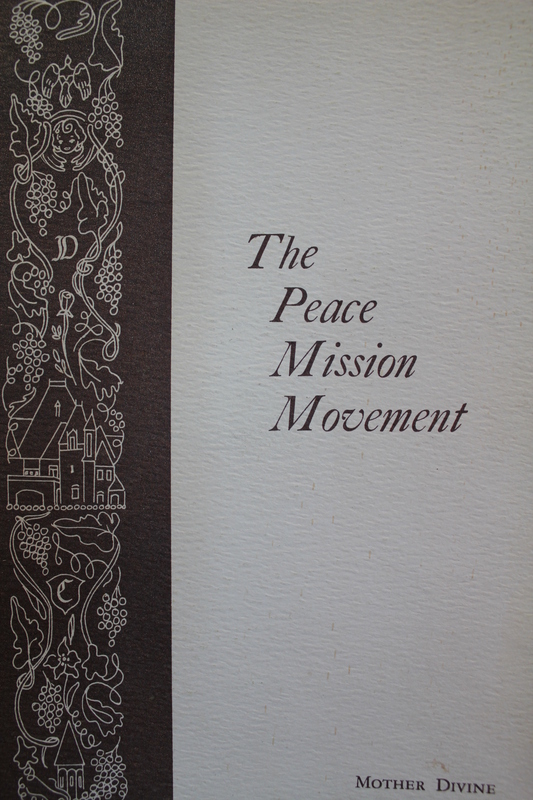 After digesting Section One, the reader will easily be able to weave these topics into the fabric of the Peace Mission Movement. There may be space in the history to be published in 1984 for only a fragment of this work. However, an unabridged copy will be filed in the County Archives in Norristown, Pennsylvania. 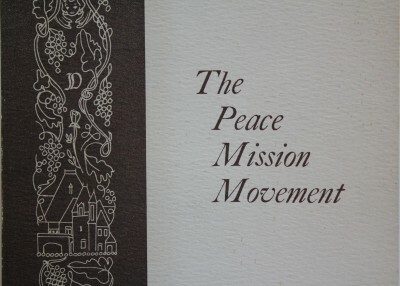 The vignette on the cover is a composite of Peace Mission symbols. At the top is the ascending Dove of Peace mounted in bronze on the interior wall of the Shrine to Life on the Woodmont Estate. The face of the Angel below it is taken from the wood carving between the windows of the Chapel Dining Room at the right of Father’s and Mother’s chairs. The script letter “D” calls to mind the tremendous scope of the Work and Ministry of Father and Mother Divine. “Rosebuds are the young ladies who form the official choir of the Movement – Father always wearing a rosebud on his lapel. Below the Rose is the thirty-two room, French Gothic castle at Woodmont. Beneath the castle is the Shield of Righteousness which the men’s brotherhood called the “Crusaders” carry in all of their endeavors. Under the Shield is a Lily – the flower of the ladies’ “Lily-Bud” group. At the bottom is the minaret-like Tower whose base is set in the exterior wall of the castle just above the cornerstone. On the sculptured cove at the top of the walls in Father’s Office, the motif is the leaves and fruit of the grape-vine. This motif provides a lattice-work in the vignette on the book cover that supports and is interlaced with the symbols described above – grapes signifying victory. As revealed by Father Divine to Dr. Levi Petrus of Sweden. Copyright 1957 by St. John Evangelist and James Hope. No part of this book may be reproduced in any form without permission in writing from the publishers. This book is not for sale. Printed in The United States of America. For more than fifty years they have been coming from all parts of the Earth to see Him, to hear Him, and learn of His Ways: priests, ministers, rabbis, swamis, monks, sheiks, metaphysicians, philosophers, educators, scholars, writers—even agnostics and atheists! One of the most interesting and enlightening interviews ever granted by FATHER DIVINE – especially from a layman’s viewpoint- was that given to Dr. Lewi Pethrus, Pastor of Filadelfia Church in Stockholm, Sweden’s largest; and Editor of a daily newspaper in the same city, the “Stockholm-Tidningen.” This interview too place in one of FATHER DIVINE’S Manhattan offices during the Winter of 1936-37. At the time, America was battling a major depression. In Europe, Adolph Hitler was sowing the seeds for a World War. In New York City, FATHER DIVINE was healing the sick, injecting Hope to the downtrodden, imparting Wisdom to the ignorant, and feeding thousands of unemployed daily—without cost or obligation! Dr. Pethrus was accompanied by another minister who did not take part in the fascinating discussion that is hereinafter recorded verbatim.